Yes, the Prius. A different sort of car than we normally feature in this section, yet a car that has had a resounding impact on the automotive world in recent years. Everyone knows a Prius when they see one, and most people know that the car has become as much a political statement as a mode of transportation. Whether you buy into the whole Green movement or not, there is no denying that the Prius has been an incredible marketing success. It paved the way for an entirely new sort of car in the world, one that puts priority on efficiency and cleanliness over all else. We all know the car, but behind every car there is a story to tell. This is that story. We now live in a world where the fuel economy numbers printed on the window sticker may well be the most important factor in most car purchases. The Prius itself may not be directly at fault for this, but it has certainly led the Green revolution in the automotive world. Over the past decade or so the Green movement has brought about mass awareness for the importance of cleaner, more efficient technology. Everyone from hybrid customers themselves to SUV/Truck buyers have been affected by it, and now everyone wants greater efficiency across the board, no matter what kind of car they are buying. The Prius has been the undisputed mascot for the Green movement. Popularized by “eco conscious” celebrities, and embraced by the masses, the Prius is a marketing success story that is sure to be studied for years to come. There is currently a family of four, count them, four different Prius models to choose from, but where did it all begin? In January 1992 Toyota Motor Corporation announced their “Earth Charter”, which set goals to produce low emission vehicles. Then in 1993 Toyota set up the “G21”, a think tank tasked with finding the right sort of car to market in the 21st century. These two initiatives meshed, and the “G21” determined that the ideal sort of car would have an emphasis on environmental friendliness while retaining all of the benefits people had come to expect from a modern automobile. As things progressed the focus became finding a way to bridge the gap between gas powered cars, and electric cars, which hadn’t ever really caught on due to their limited range. Fuel efficiency, in addition to cleanliness, became the top priorities for this new sort of car. This was largely because fuel efficiency translates to a tangible financial advantage for customers on a daily basis. Cleanliness was a rallying point for perspective buyers who were concerned with the environment, a cultural appeal that complemented saving money on gas well. The name “Prius”, Latin for “prior”, was chosen seemingly with some foresight that this car could revolutionize how people viewed the automobile. The name was to serve as a reminder, letting everyone know who started this new trend. In hindsight they couldn’t have been more spot on. The concept for the Prius was shown in late 1995, and testing began in 1996. 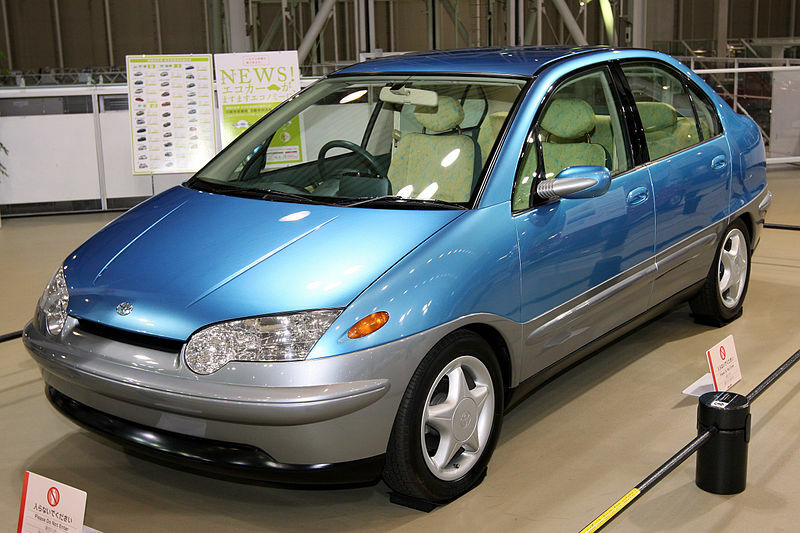 Toyota engineers, using a design based off of a 1974 TRW patent, developed the car’s gas-electric hybrid powertrain in under three years, and the car was launched in late 1997. Initially sold only in Japan for the first two years of production, the Prius became the world’s first gas-electric hybrid production car. The NHW10 Prius was pretty crude by most accounts, but it did manage to serve its purpose. This original car was actually sold for about half of what it cost Toyota to make at the time, and it had notable issues functioning in hot climates or at high elevations. Despite all of this, the precedent was now set. The Prius first hit US shores for the 2001 model year with the NHW11 car, which was altered for the US market. The American Prius came standard with air conditioning, and power steering, and was given more power to better fit the longer distances and higher speeds driven by American customers. The NHW11 Prius was the second gas-electric hybrid offered on the US market, after Honda’s Insight, but it offered more room and a better overall package. The first-gen American Prius was able to achieve fuel economy of 42mpg/city and 41mpg/highway by our modern standards, numbers that still far exceed most cars today. The original price of the Prius in America was $19,995, and enough were sold this time that Toyota was able to break even on the NHW11 Prius. 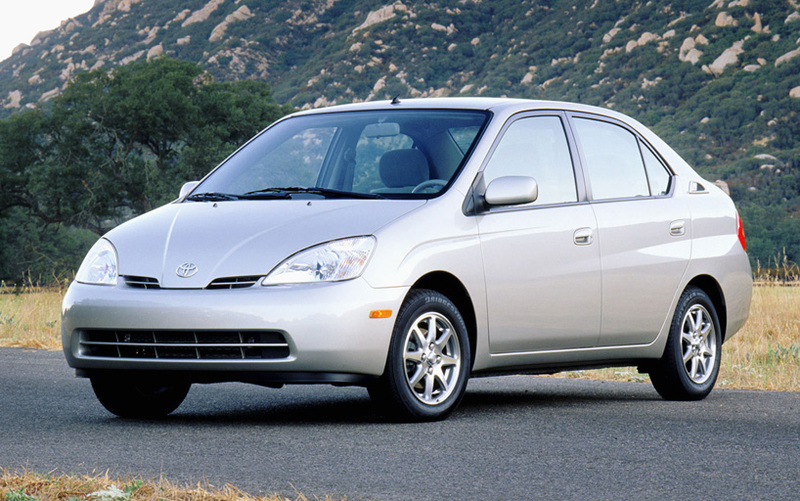 The second generation Prius was brought out for the 2004 model year, and this is where sales really started to take off. The new Prius was a bigger, much more practical car than its predecessor, and most of the first generation car’s functional issues had been addressed. The Prius was now a midsize sedan with a hatchback-style trunk, giving it room where the old car’s battery, and compact size got in the way. Despite its larger size the new Prius still saw better fuel economy than the first-gen, at 45mpg/city and 48mpg/highway. All of this added up to make the second-gen Prius a genuine, no-compromise hybrid car, able to fit the needs of most car buyers just as well as any conventional car available at the time. The new car’s improved design was complimented by an increase in the “coolification” of the Green movement at the time. Many celebrities and other influential people began to promote love and concern for the environment to the masses, and the Prius became a must have fashion accessory for any star who wanted to be seen as “conscious”. Naturally everyone in society tends to follow the lead of celebrities, so Prius sales went through the roof. This era of the Green movement in the mid 2000s peaked at the release of Al Gore’s documentary, An Inconvenient Truth. In a nutshell it showed every clueless person the realities of global warming, or at least a certain view of them, and everyone got scared. These frightened people subsequently went out and bought a bunch of low-energy lightbulbs, got reusable shopping bags, stopped eating animals of any sort, and of course bought themselves a Toyota Prius. The film was released in May of 2006, and Prius sales from 06-07 spiked around 100,000 units world wide. Amazing the power of fear, isn’t it? The second-gen was the car that made the Prius what we know it as today. The car that became a rolling political statement, as well as cheap mode of getting from A to B. That is why it will likely be the one that goes down in the history books. This is where we sit currently. The Third-gen Prius came out in the 2010 model year with many improvements over the previous car, and fuel economy now topping 50mpg. The big story of the current Prius is that there are now multiple Prius models available. Instead of just the standard 5-door hatchback, “Prius” now denotes an actual sub-brand of hybrid/electric cars from Toyota. First of the new models was the Prius V, basically a station wagon or crossover variant. The V is a good bit larger in size but still manages 42mpg on average. The Prius C, a tiny city car variant, was next. It is by far the smallest and lightest Prius available and will see 50mpg on average. Then there is the Prius Plug-in Hybrid, a stab back at the Chevy Volt. It uses an extended range hybrid design, capable of traveling on electricity alone for up to 14 miles. Naturally these cars are all selling like hotcakes, and more models are sure to come. The Prius range has expanded a lot, and will surely continue. All in all over 2.8 million Prii have been sold world wide since 1997. Toyota’s vision for a 21st century car has proven to be quite correct indeed. The Prius has firmly placed itself as the default option for anyone wanting to sip gas and/or hug trees. Sure there are other hybrids out there, but this is the original. In my mind Toyota’s success comes down to having the vision to produce the right car for the time to come. They didn’t get it right immediately, but by the time the world wanted it, the Prius was right there waiting for them with open arms. The Prius’ success also comes down to it being the right price too, though. I honestly believe the Chevy Volt is a better design than any of the Prii technologically, but nobody is really going to pay $40,000+ for a car that is meant to save them money. 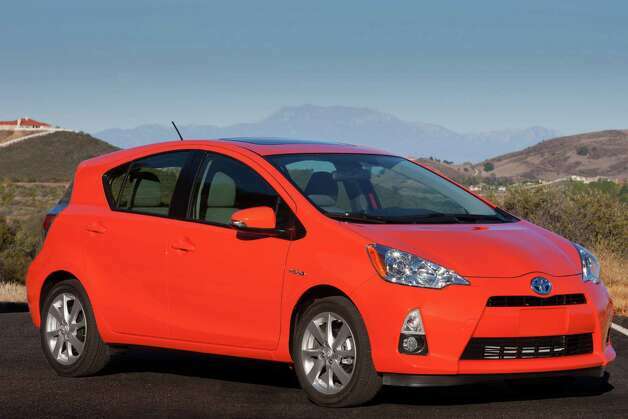 Every Prius, other than the Plug-in, can be had under $30 grand, and the base Prius C comes in under $20k. So, both as a tangible value and as a cultural icon, the Toyota Prius has lured in millions of buyers. I am not a Prius person myself, and I cannot stand when they try and impose efficient driving on the rest of us by going 55mph in the left lane, but I can surely appreciate what has happened here in a marketing and business sense. Toyota simply hit the nail on the head, and like it or not the Prius has significantly reshaped the modern world of cars. The Green movement has also brought about a new sort of car enthusiast, one who is concerned about efficiency and cleanliness. That is something I really can appreciate as a car enthusiast myself, despite our different interests. Whether you fit into this Green identity or not, a Prius will still save you a lot of money at the watering hole. It is that economical sense which has made it much more than just the niche item it could have been. At the end of the day the Prius was made with a specific focus, much like that of a supercar, only instead of speed they were going for efficiency. The Prius does its job phenomenally as a car, but it is society that has made it into so much more than just a way to get around. So in the end, it is actually quite similar to the sorts of cars we normally feature on this site. So maybe take away this new perspective on Nature’s favorite car.